Genting Highlands, 24th January 2016 - Like previous years, Chinese New Year will be celebrated with a multitude of festivities at Resorts World Genting this year. For those getting ready to usher in the Year of the Monkey, attractive festive options are aplenty in terms of food & beverage and entertainment and accommodation. Whether it is a family get-together or a meeting with business associates, guests can look forward to a fabulous and memorable Lunar New Year at the resort. What's in store? From 6th January to 6th February 2016, special CNY Reunion Promotions are offered at Genting Palace (2nd Floor, Genting Grand), Ming Ren (Level 2, Maxims) and Imperial Rama (Level 2, Maxims). 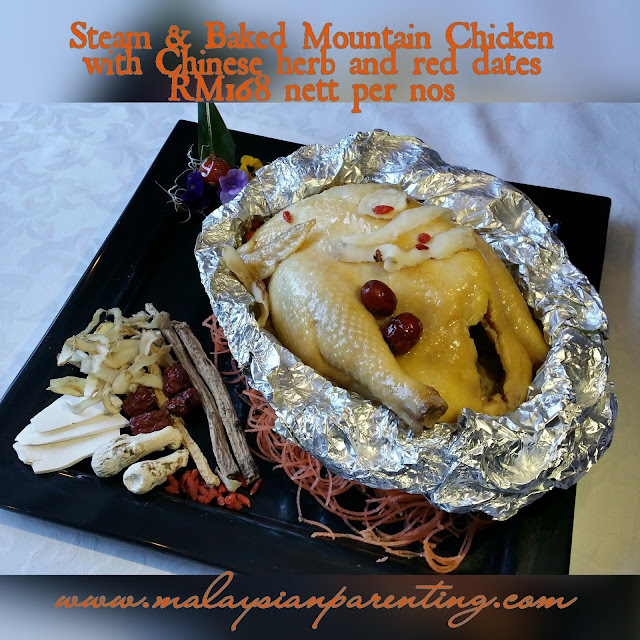 At Genting Palace, guests can choose from two menus. Menu 1 is priced at RM1,600 nett for a table of eight to 10 people. The eight-course Menu 1 comprises Lucky Salmon Yee Sang, Doubleboiled Free Range Chicken with Black Mushroom Consomme, Steamed Lampang Patin with Ginger, Japanese-style Salt and Pepper Prawns, Simmered Spare Ribs in Red Wine, Stewed Rice with Mince Meat and Scallions, New Year Pancake with Shredded Coconut, and Chilled Sea Coconut and Aloe Vera. Menu 2 also costs RM1,600 and is for a table of seven to 10 people. Prosperity Yee Sang with Japanese Tuna opens the meal, followed by Ginseng-infused Free Range Chicken Consommé, Steamed Tiger Grouper with Traditional Preserved Vegetables and Shrimp, Mongolian-style Baked Pork Belly and Ribs, Braised Dried Seafood with Longevity Moss, Fried Rice with Fresh Shrimp, Sweet Corn and Diced Vegetables, Chilled Sweetened Aloe Vera and Gingko Nut with Korean Pear, and New Year Pancake with Red Bean and Shredded Coconut. 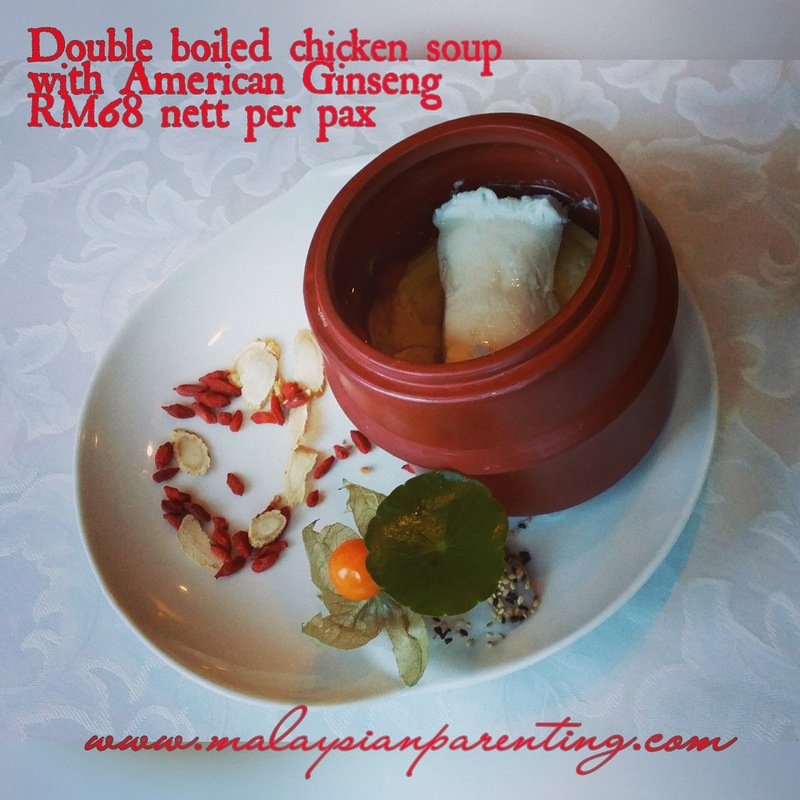 Genting Palace opens from 12pm to 2.30pm for lunch, and from 6pm to 9.30pm for dinner. 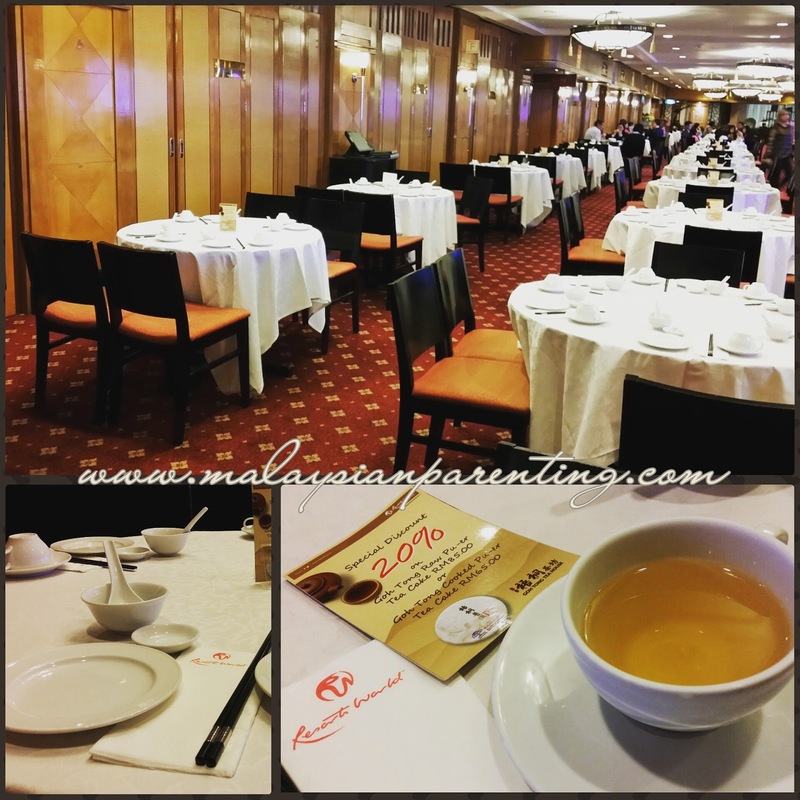 Here is our review at Genting Palace. The place is spacious for family gathering. 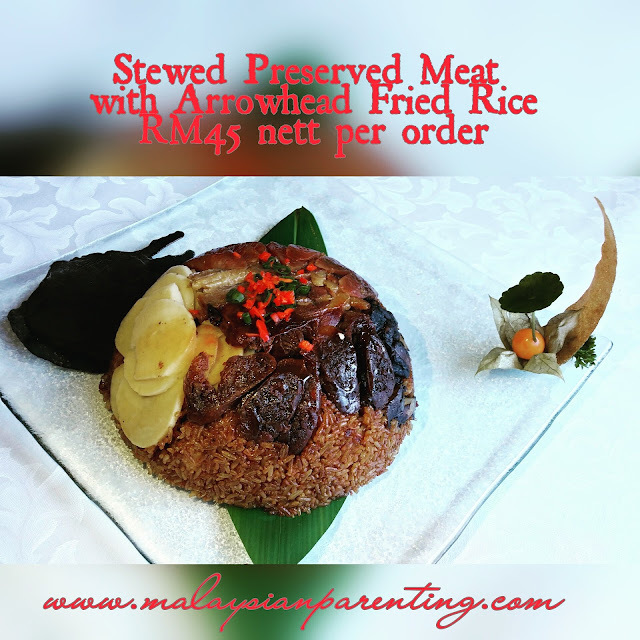 Love the taste of Stewed Preserved meat with fried rice. While the presentation of King Prawn is lovely. The round crown will break into a décor setting upon pouring the hot sauce onto it. This yee sang is mixed with crunchy crackers and not so sweet. The above picture featured the ingredients. Aromatic and juicy. The chicken will be cut when you dine in to ease the servings. A must try green tea jelly. Guests can expect an equally wonderful time should they opt to enjoy the food at Ming Ren on Level 2 of Maxims. The CNY Reunion Promotion here is priced at RM1,800 nett for a table of eight to 10 people. The 10-course dinner consists of Prosperity Salmon Yee Sang, Crab Meat and Baked Fish Maw Bisque, Slow-braised Lamb Shank with Chinese Herbs, Stir-fried Scallops with Lily Bulbs, Sweet Corn and Macadamia Nuts, Steamed Marble Goby in Superior Soya Sauce, Steamed Organic Chicken with Dong Qui, Wasabi and Thousand Island Prawn Duo, Braised Fresh Mushroom with Sea Cucumber, Deep-fried Seafood Beancurd served with Thai Chilli Sauce, and Wild Ginseng Jelly with Aloe Vera. Menu 2, also a 10-course meal and priced at RM1,800 for between eight and 10 pax, offers Prosperity Salmon Yee Sang, Double-boiled Dried Seafood and Mushroom Soup, Signature Grilled Lamb Ribs, Braised Assorted Seafood with Oyster Sauce, Steamed Organic Jade Perch with Red Chilli and Garlic, Deep-fried Prawns with Salted Egg Yolk, Stir-fried Organic Chicken with Ginger and Chinese Wine, Braised Homemade Beancurd with Fish Paste and Luffa, Stir-fried Organic Brinjals with Garlic, and Peppermint-scented Almond Beancurd. Ming Ren opens daily from 12pm to 3pm for lunch, and 6pm to 10pm for dinner. If the elegant atmosphere of Imperial Rama is what you would prefer, know that there are also two CNY reunion menus offered. Menu 1, priced at RM2,000 nett for a table of eight to 10 people, offers eight dishes, namely Prosperity Salmon and Mango Yee Sang, Superior Shark's Fin in Bone Broth, Steamed Marble Goby in Superior Soya Sauce, Wasabi and Salted Egg Prawn Duo, Steamed Free Range Chicken with Rock Salt, Braised Abalone and Dried Seafood Casserole, Steamed Rice with Waxed Meat in Claypot, and Lemongrass Jelly. Imperial Rama's other CNY Reunion Menu, also priced at RM2,000 nett for between eight and 10 people, includes traditional favourites like Buddha Jumps Over the Wall and Crispy Suckling Pig with Beancurd Sheets. The eight-course dinner also includes Prosperity Salmon with Mango Yee Sang, Baked King Prawns with Cheese and Salted Egg Yolk, Steamed Marble Goby in Superior Soya Sauce, Organic Vegetables with Shallot Oil, Steamed Rice with Waxed Meat in Claypot, and Almond Beancurd Pudding. Imperial Rama opens daily from 12pm to 3pm for lunch, and from 6pm to 10pm for dinner. I love pineapple tarts and this is one of my favorite. Filled with ample pineapple filling. A Chinese New Year staple that you wouldn't want to miss, Pineapple Tarts are sold at Resorts World Genting from 16th January to 22nd February 2016. They would make excellent gifts—or what about buying some for your own enjoyment? Look for them at the various kiosks stationed at Genting Palace (Level 2, Genting Grand), Good Friends Restaurant (Level 2, Maxims), and Hainan Kitchen (Level 2, First World Plaza). Two sizes are available: 20 pieces in an air tight container priced at RM35 nett and 12 pieces in a red lid container priced at RM25 nett. Chinese New Year is not complete without the omnipresent Yee Sang. Guests can enjoy this traditional favorite when they dine in at various restaurants in the resort from 16th January to 22nd February 2016. 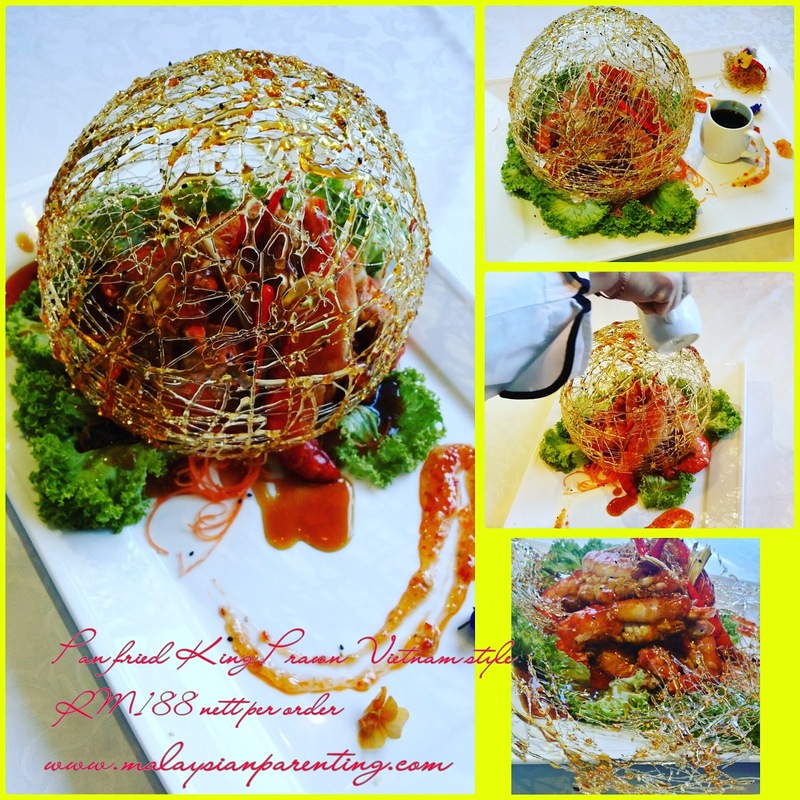 The restaurants are namely Genting Palace (2nd Floor, Genting Grand), Seasons (Lobby Floor, Genting Grand), Imperial Rama (Level 2, Maxims), Good Friends Restaurant (Level 2, Maxims), Ming Ren (Level 2, Maxims), Resort Seafood (Level 1, Resort Hotel), Hainan Kitchen (Level 2, First World Plaza), and Rajawali Coffee House (Lobby Floor, Awana). Friends Restaurant and Hainan Kitchen. 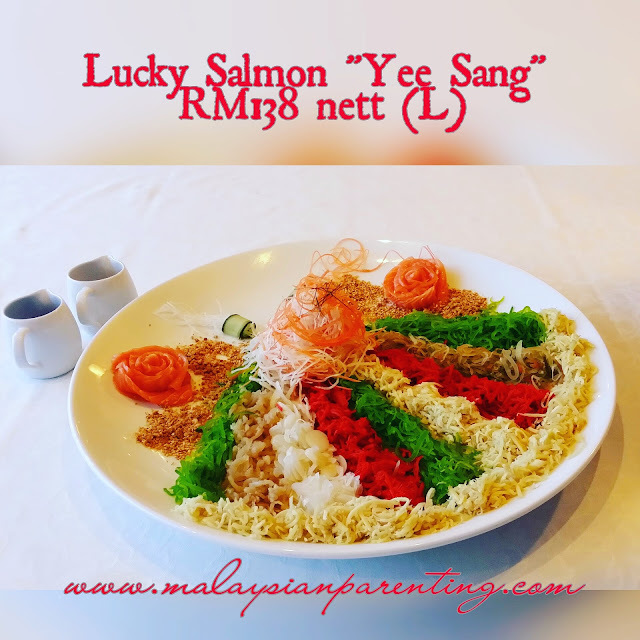 There are many options available, from Salmon Yee Sang (RM138 nett for a large pack and RM82 for small) to Japanese Tuna Yee Sang (RM138 nett for large and RM82 for small), Hokkaido Scallop Yee Sang (RM198 nett for large and RM106 nett for small), and Abalone Yee Sang (RM488 nett for large and RM248 for small). At Genting Palace, you may choose to add to your Yee Sang. Additional abalone can be purchased at RM126 nett, additional Salmon at RM35 nett, and additional Japanese Tuna at RM35. The other three options are Hokkaido Scallop at RM63 nett, Jelly Fish at RM24 nett and additional Cracker at RM11 nett. Special CNY Set Menus are offered throughout Resorts World Genting from 7th February to 22nd February 2016. At Genting Palace (2nd Floor, Genting Grand), seven sets are offered, starting from RM499, while at Ming Ren (Level 2, Maxims), two sets are offered, starting from RM498. Guests can choose from three different sets at Imperial Rama (Level 2, Maxims), with prices from RM1,988, while Good Friends (Level 2, Maxims) offers two sets, starting from RM288. Resort Seafood Steamboat (Level 1, Resort Hotel) is another place offering set menus—two options starting from RM688. Ala carte CNY specialities are also available at Seasons, Lobby Floor, Genting Grand, and at Hainan Kitchen on Level 2 of First World Plaza. Food brings people together—and what better occasion to gather as family or friends than a buffet? This Chinese New Year, there are several outlets in the resort where you can enjoy a sumptuous buffet, beginning with Coffee Terrace on the Lobby Floor of Genting Grand. From 7th February to 11th February 2016, a special CNY buffet spread will be offered with traditional dishes like Fatt Choy Yee Sang, Roasted Duck with Chinese Herbs, Deep-fried Crispy Prawn with Salted Egg, Stir-fried Chai Choy, Steamed Stuffing Cabbage Roll, Variety of Noodles, Deep-fried Talapia with Butter, and Steamed Stuffed Cabbage Roll with Dried Scallop. Also featuring on the Local to Chinese station are Malaysian favourites like Nyonya Platter, Variety of Satay Malaysia and Deep-fried Crispy Lamb Leg with Roasting Dipping Sauce. Over at the Western Section of Coffee Terrace's buffet spread are such mouthtwatering delights as Cheese Baked Red Snapper Fish, Stewed Assorted Seafood with Cajun Spices, Roasted Lamb Leg with Pan Jus, and Carbonara and Marinara Seafood Pastas. There is also the Japanese Section offering all the usual favourites—Sashimi, Sushi, Tempura, Teppanyaki and Cold Soba Noodles. And oh, there's also the Indian Section with Lamb Curry and Tandoori Chicken, among others. And to wash it all down, the Dessert Station tempts with such items as Deep-fried CNY Cake, Assorted French Pasties, Puddings, Fruits and Ice Cream. The buffet at Coffee Terrace is indeed value for money—all these delicious food for only RM98 nett (adult) and RM49 nett (child). The coffee house opens for dinner from 5pm to 9.30pm. 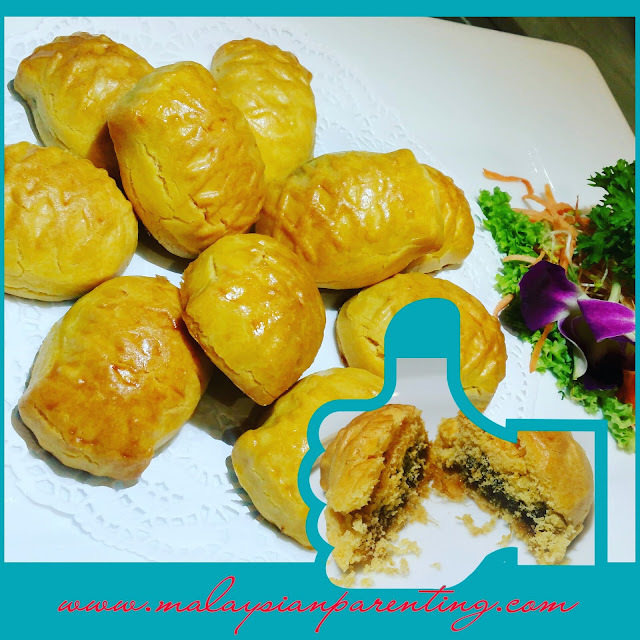 For excellent Chinese food, head for the Hot Section where such dishes as Fried Crab with Chilli Sauce, Squid Kam Heong-style, Gold Prawn Fritters with Special Salad Sauce, Lamb Shoulder Teo Chew-style, and Wok-fried Beef Mongolian-style are presented. There is also a Western Section offering such items as A'la Minutes Pastas, Sausages and Seafood. 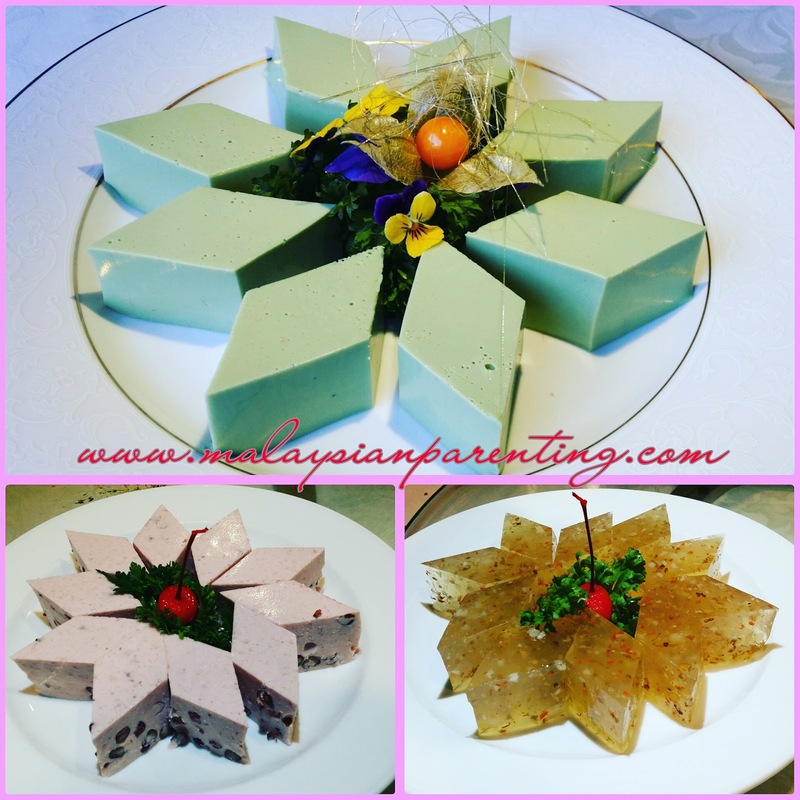 And what better way to end the meal if not on a sweet note: The Dessert Section offers a wide variety of choices including Chinese Cookies, French-style Pastries, Pudding, Jelly and Mousse. Food Factory is a brand new dining concept at 3rd Floor First World Plaza. It is a 23,568 sq ft open kitchen concept restaurant that can accommodate 1300 diners. The restaurant serves a delightful range of breakfast offering West Asia, East Asia and Western breakfast selections from 6.30am to 10.30am daily. During this festive season the restaurant offers a special CNY buffet from 8th to 13th February, 12pm to 2.30pm for lunch, and from 6pm to 9pm for dinner. At only RM36 nett (adult) and RM18 nett (child), guests get to enjoy so much for so little. The Western Counter, for instance, offers seafood—prawns and mussels—on ice. Main dishes include Baked Fish with Potatoes and Vegetables, Roasted Chicken Roll, Sauteed Sausages with Mushrooms, and Braised Lamb Steamed with Mushrooms and Carrots. A Salad Bar takes care of things for the health-conscious while the Eastern Counter caters for those seeking more traditional dishes like Yee Sang, Kai See Hor Fun, Steamed Chicken with Chinese Herbs, Roasted Duck, Steamed Fish Head with Spiced Ginger, Glutinous Rice with Waxed Meat, and Stir-fried Longevity Noodles. If you love all things hot and spicy, the Western Asian Counter offers Lamb Curry, Roti Pratha and Capati. And to cool down, there are the usual desserts to tempt you. It's food galore this Chinese New Year at Resort Seafood Steamboat on Level 1, Resort Hotel. Guests can opt for either the menu costing RM688 nett for a table of 10 people, or the more expensive menu costing RM888, also for a table of 10. Yam Soup and Chinese Soup, Grouper Slices, Smoked Turkey Breast, Grass Prawns, Crabmeat (unbreaded), King Oyster Mushrooms, Eggs, Chilli Fish Balls and Noodles. The RM888 menu delivers to your table Abalone Yee Sang, Tom Yam Soup and Chinese Soup, Australian East Star Grouper, Smoked Turkey Breast, Grass Prawn, Crab Meat, Sui Kow Dumplings, King Oyster Mushrooms, White Beancurd, Vegetables and Noodles, among others.